Since moving to the Boston area, we’ve made many new friends who are Jewish, and my daughter’s school honors Jewish holidays. So I felt it was long overdue that we finally learned more about one of the special Jewish holidays this time of the year. And what better way to learn about something new than through movement? Hanukkah is the Jewish festival for lights. The celebration is for eight days and occurs in late November or December. “Hanukkah” means “dedication” in Hebrew. It’s a time to be together with your friends and family. People exchange gifts and give presents to people who are less fortunate. Sufganiyots are jelly donuts that are popular to eat during Hanukkah. 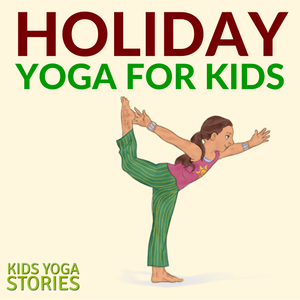 Along with the following Hanukkah-inspired yoga poses, you could also participate in karma yoga projects, such as giving away your clothes or toys to charity, volunteering at a holiday soup kitchen, or baking cookies for your community helpers. Hanukkah is a time to get together and have a delicious meal with family and friends to celebrate. Some of the food enjoyed are latkes (potato pancakes) and sufaniyots (jelly donuts). Kids enjoy receiving gelt (chocolate coins sealed in gold foil), often in a small cloth pouch. It’s also common to play a spinning top game with a dreidel. Lights brighten up the festivities with a menorah (six-candle lampstand) and other candles. 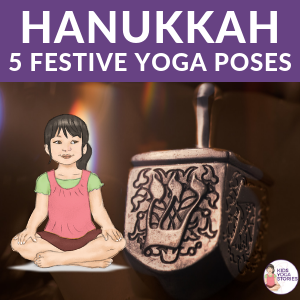 Below you’ll find five yoga poses inspired by the traditions of Hanukkah. 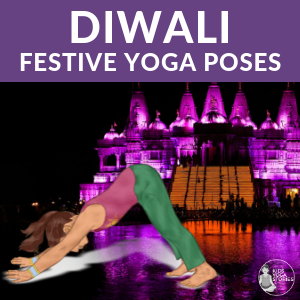 Try these postures and then make up your own. 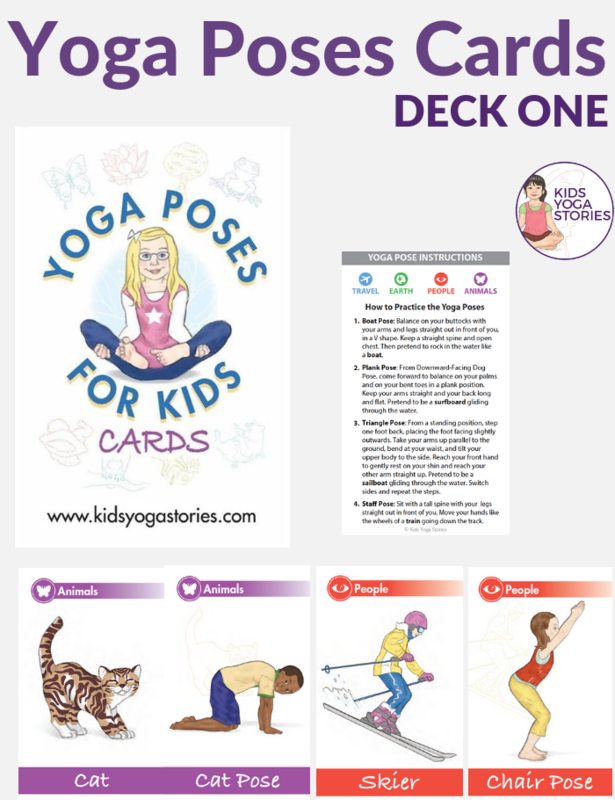 Focus on having fun and learning through movement—don’t worry about perfectly aligned poses. 1. Pretend to be gelt. 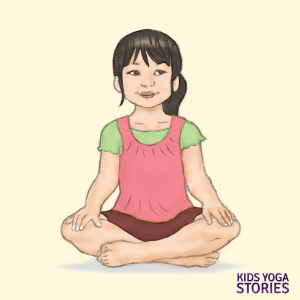 Practice Child’s Pose: Sit on your heels, slowly bring your forehead down to rest on the floor in front of your knees, rest your arms down alongside your body, and take a few deep breaths. Pretend to be a yummy gelt. 2. Pretend to be a latke. Practice Locust Pose: Lie on your tummy, lift your chest and shoulders, and look up. Pretend to be latke sizzling in the pan. 3. Pretend to be an oil lamp. Practice Seated Side Bend: Come to sitting comfortably cross-legged. Place your right hand flat on the ground straight out to the side. 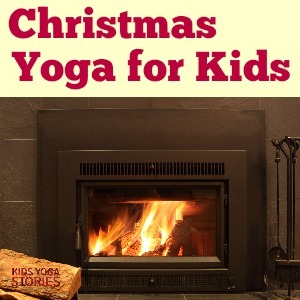 Then reach your left hand over your head, tilting your upper body to the right. Keep your buttocks on the ground. Feel the gentle stretch in your left side. Pretend that your arm is the spout of an oil lamp. Come back to center and repeat on the other side. 4. Pretend to be a dreidel. Practice Easy Pose: Sit cross-legged and rest your palms on your knees. Close your eyes, if you are comfortable doing so. Imagine playing a game of spin the dreidel. Take a few deep breaths and relax your body. 5. Pretend to be a menorah. Practice Legs Up the Wall Pose: Lie flat on your back then slowly raise your legs straight up toward the sky, making an L shape with your body. Keeping your legs together, flex your feet. Spread your arms out to either side and keep your neck in a neutral position. You could also rest your legs up a wall instead. 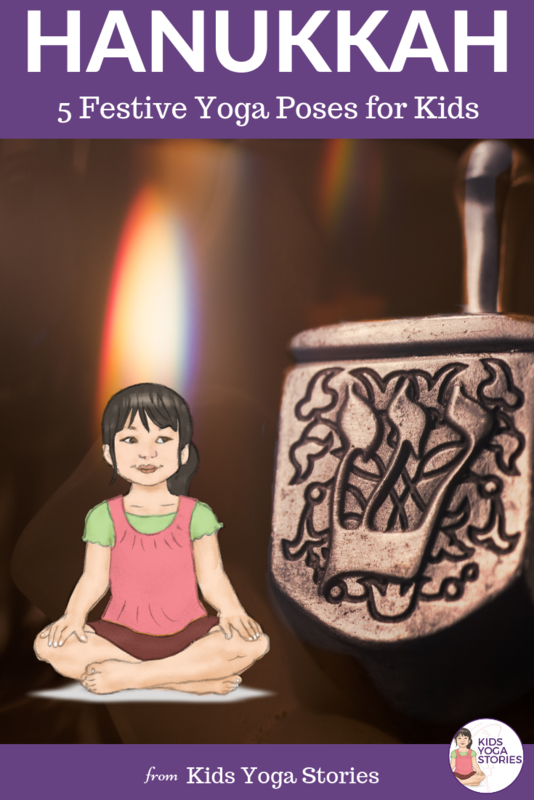 Pretend to be one of the candles on the menorah, which is a lampstand with nine candleholders. What other poses could you make up to honor Hanukkah? Leave us a comment below! All of these workouts have to do with offering your kid more choices in a minute when she or he seems like there are none (aside from a total disaster). 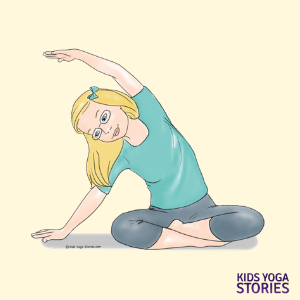 You can recommend a shift of focus and a balancing pose to assist stabilize all the various feelings you understand your kid is feeling. Stabilizing poses assistance move our focus out of our heads and back into our bodies, which has a supporting impact.